Vice is a medium volume bone straight unit. She comes in a blonde color combination. Her construstion consists of a full frontal on a breatheable cap which allows for different stying options including bangs, a center part or a side part, top-knots and straight back looks. We attach 3 combs and an elastic band for added security. This look is meant to be worn in it’s natural texture. Straightening and curling are both possible. Wash to return to its natural state. SKU: N/A. Categories: Shiloh, Wigs. 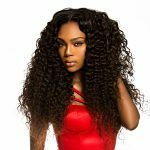 Tags: Shiloh Luxury Wavy Blown out Straight, wig.